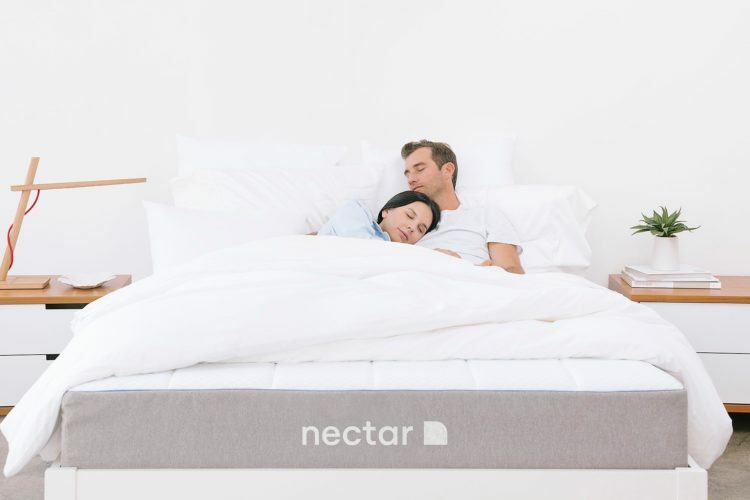 Home » Best Mattress Guide » NECTAR Mattress 2019 Review: How Good Is the Nectar Sleep Bed Really? The Nectar mattress is a medium-firm yet supportive memory foam mattress which is especially suited for side sleepers who like firmer support but with padding added on top for additional comfort. The mattress comes at a great price (Nectar offers a $125 discount + 2 free pillows on top) and a very long trial period (365 days). So is it the best mattress ever made? Read on for our full nectar mattress review. Firmness: How firm is the Nectar Bed? Durability: How Long Does This Bed Last? Temperature: Does The Nectar Mattress Sleep Cool Or Hot? Smell: Is There Off-Gassing Or Bad Smell? Customer Service: How Good Is Customer Support Really And Are There Complaints about the Nectar Mattress Bed? Warranty: How Good Is The Warranty And Guarantee? Eco-Friendliness: Does It Have Any Certifications? Price: How Expensive is the Nectar Bed? NECTAR is a medium-firm yet comfortable mattress made overseas. Aimed at sleepers of all positions, it was designed to provide firm support with all of the comfort of a pillow top. You Really Want to Try Before You Buy: The team at NECTAR Sleep is so sure that you will love their product that they provide an unheard of trial period of 365 nights. This means that you get to try it yourself for a full year before deciding if you want to commit. At any time during your 365 night trial period, you can return it free-of-charge and receive a refund for any payments you have made. You Want a Cool Mattress: It was designed with air circulation in mind. The Tencel® cotton cover promotes air circulation, heat wicking, and is designed to circulate air throughout the upper layer, improving airflow and keeping you cool all night long. You Want a Firm Support and Comfort: It was designed to be firm for support but soft for comfort. It is definitely on the firmer side of the spectrum, but the upper comfort layers and cover materials will provide all of the comfort needed to cushion your body as you fall to sleep. Based on the NECTAR features, we found this mattress to be an excellent choice for those focusing on firmness & support and durability. NECTAR mattresses are well-known for being firm for support, soft for rest, and a touch bouncier than other premium memory foam products. They are on the firmer side of the spectrum, but provide comfortable rest and pressure relief due to the upper comfort layers and the cover materials. On a scale from 1-10, where 1 is feather pillow and 10 is cement floor, it is self-rated at a 6. This creates a plush but highly supportive mattress. The design creates a long term support for your back and body while also maintaining a true comfort in the top layer. You get the support of a firm mattress with the comfort of a pillow top that contours and supports your body. Designed to adjust to your body position and relieve pressure points, so you will rest easy with any sleeping position. From our experience spring mattress sometimes sag at the edge, but the NECTAR was designed and built for consistent, and firm support from edge to edge. This same technology prevents sagging in the middle, providing you with minimal motion adjustment, allowing your body to sink into the foam without disturbing your partner. Users of the NECTAR report that the firmness is great for those who have back problems. They find that it is uniformly firm and supportive with just the right amount of “give” to feel cradled by the bed. Couples report that there is a complete lack of motion transfer, allowing one partner to move around in the middle of the night without waking the other. It should be noted here that many of the unfavourable reviews commented that it was too firm and they had a hard time breaking it in. Some users purchased a topper to make it softer, but in general, this mattress was more favourably reviewed by those seeking a firmer option. It is an excellent option if you are looking for an all foam mattress that sleeps cooler than the traditional memory foam alternatives. This 12-inch, all-foam mattress made from four special grade performance layers and a 1-inch thick cover, all designed with cooling and airflow in mind. Let’s start with the removable Tencel® cotton cover which is highly breathable. This cover is made with a 1-inch thick, aloe-based cooling material to assist air wicking and it does a good job at optimizing circulation to wick heat and keep you cool. It is also easy to clean. Just take off the cover (it zips around the Nectar mattress) and put it in the washing machine. In addition to being bedbug resistant, this layer is also OEKO-TEX certified at the highest level to guarantee the materials are safe enough for use by babies and children. 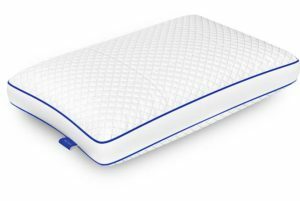 Weight distribution and relief for pressure points are handled by the top 1-inch thick comfort layer, made from quilted gel memory foam to provide loft, air circulation, and perfectly contour to your body. This gel memory foam provides a softness and a luxurious feel to the top layer, while the gel material in the memory foam works to keep the body cool during sleep. Following this is a 3-inch thick layer of adaptive gel memory foam, to enhance the bed’s body-conforming properties and add deep cushioning and support to joints and pressure points. This is foam is the company’s medical grade, semi-open Lush Foam, designed to be the highest quality memory foam available on the market and with cooling and heat distribution in mind. It is also made to recover its shape quickly and have a “just right” comfort level, suitable to most people. After this is a 1.75-inch layer of Adaptive Hi-core Memory Foam, which provides the stable transition between the upper comfort layers and the more solid base layer of the bed. Nectar claims that it is this layer that makes it so that you will never sink in too deeply into the mattress, instead, you’ll feel comfortably supported and cushioned. Finally, deep compression support is provided by the 5.25-inch foundation layer, made from a two-pound high-density foam. This breathing base layer reinforces the contouring layers of the bed and also serves as a stable foundation. The company claims that no other mattress company has a base layer this dense, yet this breathable. It contains specially molded air channels to draw fresh air up and into the mattress and it’s also what gives the bed its dense base, so you don’t sink in too deeply into the comfort layers of the bed. Unlike other memory foam or hybrid mattresses, the NECTAR bed is designed for any support surface and the warranty does not require the use of a box spring, a feature that many NECTAR users report as being helpful. Many reviewers also love that the removable cover is washable and have reported success in receiving free-of-charge replacement covers. With a lifetime, “Forever” warranty, this mattress is designed to last. A standard warranty in this industry is generally 10 years, with the average lifespan of memory-foam mattresses being approximately seven years with normal wear and tear. NECTAR extends their warranty for the lifetime of the mattress, replacing it at no charge for any defect caused by normal use. In addition to normal wear and tear, NECTAR guarantees that body impressions will not sag into the foam more than 1 ½” over the lifetime of the mattress. If the impressions are more than 1 ½”, they will replace it at no charge. If you or your partner is taller than average, length is a very important factor. The NECTAR is not only available in standard sizes, but also comes in TWIN XL and CAL King. The TWIN XL is helpful for those taller individuals, as it is the same width and height as the standard twin, however it is extended five additional inches. The CAL KING is also great for tall individuals, as it is the longest of the standard sizes, measuring 84” long. The NECTAR measures-in at 11” thick, much thinner than many of the memory foam beds on the market. Most of these thicker options create bulk due to the extra foam and compression support layers, which is important for relieving pressure points from your body. Thickness is an especially important consideration for heavier sleepers (whether you are overweight or simply larger). By utilizing advanced foams such as high-density foam in the compression support layer, NECTAR has the support of a thicker mattress without the added bulk. The NECTAR, however, does not add any thick comfort padding layers, so people looking for lush padding may be disappointed. Many memory foam mattresses are 14-16” thick to include this extra padding, which means that most fitted sheets may be a tad large. Look for sheets that are designed for an 11” thickness. People who own the NECTAR comment that the mattress is great at preventing heat buildup and sweat during the night. Many commented that heat is something they have come to expect with foam mattresses and they were pleasantly surprised at the difference in NECTAR. Air circulation is a critical component in controlling heat buildup, so every layer was built to wick heat and promote airflow. The top layer, the removable Tencel ® cotton cover, is prepared with an aloe-based cooling layer to assist air wicking. It is also designed to circulate air throughout the upper layers of the mattress. Users note that the mattress is great at preventing heat buildup and sweat during the night. Many commented that heat is something they have come to expect with foam based competitors and they were pleasantly surprised at the difference in NECTAR. The NECTAR is most closely compared to the Tempur-Pedic, with both featuring Ultra Dense Foam and 11” or more depth. NECTAR claims their cooling system is more effective with breathing airflow and woven fabric as compared to the chemical bath cooling system featured by the Tempur-Pedic. Sometimes fresh foams have an off-gassing process when opening. NECTAR claims that any smells from their foam comes from being vacuum packed and not from chemicals. These smells are reported by most users, noting that they dissipate within 24 hours of opening the NECTAR. The bed itself is smartly packaged with a handle to make it easy to carry. It comes vacuum packed, allowing it to be efficiently shipped to you. Upon arrival, you simply unroll it, cut the plastic, and it expands overnight. If you don’t like it at any time within the first year, NECTAR allows you to return it, free-of-charge. Reports about customer service quality have been mixed. Some customers found their phone support very helpful – getting problems sorted out within a few hours or days. Others report longer wait times which Nectar claims is due to high demand of the mattress. Overall customer complaints seem to have slowed down over the last few months after a somewhat rocky start in their early days. This is a common problem of new companies though and it remains to be seen how the company will handle customer issues in the long run. NECTAR guarantees against defects in workmanship and materials for as long as you own the mattress. In the first five years of ownership, they will replace it with a brand new one. After five years, the make all attempts at repairing and re-covering the mattress but will replace it with a brand new product if repairs are unsuccessful. They even cover body impressions greater than 1 1/2” in their impressive lifetime warranty. If the cover is soiled or damaged during the cleaning process for any reason, they will replace the cover free of charge. The mattresses are made from premium Certipur ® memory foams. This not only provides superior support, but they also have a better environmental impact. 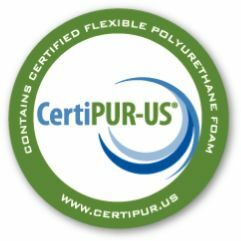 This certification ensures the materials are free of chemicals, gasses, ozone depleaters, PBDE flame retardants, heavy metals, formaldehyde, and Volatile Organic Compounds (VOCs) for indoor air quality. The top layer is also OEKO-TEX certified at the highest level to guarantee the materials are safe enough for use by babies and children. NECTAR skips the middlemen and sells direct to consumers, saving you money. This has allowed the company to offer very competitive prices for premium mattresses, coming in thousands of dollars less than some of its more traditional competitors. Many reviewers point to the price being a determining factor their purchase and they were pleasantly surprised at the quality of the material and construction despite the low price tag. A number of users mentioned that they originally bought the bed for a guest room because of the price, and they liked it so much that they ended up using it in their room instead. Currently, Nectar is giving away two pillows for free if you buy one of their mattresses. So we took a closer look at the pillow to see if this is indeed a good deal. The pillow is a shredded memory foam pillow and similar to the mattress it comes with a removable Tencel® cotton cover which is easy to clean by putting it in your washing machine. The cover makes the pillow very breathable so you won’t be sweating from excessive heat buildup. In our experience, it is a good idea to use pillows that pair well with the mattress you are using since it will help to support and align your spine. If you plan to buy the mattress than getting two matching pillows on top is a great deal. Can you put a mattress pad on top? A thin gel pad can be added for additional cushioning; however, NECTAR does not manufacture a mattress pad. How do you unpack the mattress when it arrives? It is recommended to unroll the mattress on top of a bed frame because it starts expanding as soon as the plastic is cut. Simply cut the plastic, unroll, and the mattress expands within minutes. How does it compare to the Leesa mattress? Read our full comparison here. Does it work on adjustable beds? Is it easy to return if I don’t like it? Yes. Returns are free + 100% refund during the 365 day trial period. Do I need to rotate the mattress? This company is nothing but a scam. The are just a distributor of a Chinese made mattress and are making money off of lying and ripping off anyone who is stupid enough to believe them. They have terrible customer service. After trying to contact them for more than a week to cancel/refund my order because they kept lying about the shipping date, they are still ignoring me. I purchased my queen mattress during the Memorial Day weekend. The promotion included two free pillows. It said on their site at the time of purchase that due to an increase in sales there may be a shipping delay. Since I wasn’t in a huge hurry I didn’t worry too much about when it would be delivered. About a week after purchase I got a notice saying that the mattress had shipped, however after not getting a tracking number for several days I contacted them asking for one. I at first tried to call, but didn’t get an answer so I messaged them off of their Facebook page and got a response within an hour. I then asked a couple other questions, to which I was given a fast and friendly response. The mattress was delivered by FedEx on June 12. The delivery guy even carried it upstairs for me! The unpacking was actually fun, watching the mattress “come alive”. Very little smell the first 24 hours. The pillows were in the same package as the mattress. I have now slept on the mattress for a couple of weeks and unfortunately I don’t find it all that comfortable. I am a side sleeper and find the mattress is a little too hard for me. I can tell that the mattress is very well made and I have read tons of reviews and very bummed I am having trouble. I am certainly not looking forward to pouring through reviews to find another mattress, so may take the advice of this site and try a gel pad first. My neighbor bought two extra long twin mattresses after seeing mine. She got her order in a week and her teenage boys absolutely love them. My brother also bought one and loves his as well. I should also mention that I wrote to them last Friday (today is Monday) to tell them I would have to return the mattress and I got a reply back today with a questionnaire so they can set up mattress removal. Nectar is horrible they are robbing people and not delivering mattresses. I order a Bed in March and have try to contact the company about 25 times. the only way you can contact the company is through email. only half of my emails have been answered the other half I simply just get a reply saying managment has been informed we will get back to you by the end of the day. I have demanded a refund so many times with no answer. I looked further into the reviews made about this company I notice this has happen to many people they are taking people money and NOT delivering a mattress. thanks for sharing your experience! We are getting more and more negative feedback from customers similar to yours. While some seem to have a very positive experience, others never received their mattress or had trouble returning it. Nectar claims to have hired more customer support staff but we have yet to see a positive effect. It seems that they were a bit overwhelmed by the high demand. I have already updated the post to reflect the negative customer service experience but will most likely update it again in the near future to add a more prominent warning until the situation has improved. I normally wouldn’t participate in any discussion about opinions of a company and their product, but here’s my experience and opinion… I purchased the Nectar mattress on November 8th and was givin a ship date of “on or before November 8th. When November 8th rolled around, I checked the shipping status and noticed it had not shipped as promised during my purchase checkout, so I contacted their customer service via chat and expressed my disappointment. They quickly replied with an apology, gave me a new estimated ship date, and even gave me a $50 refund to the payment method that I used for the purchase. I finally received the mattress on November 14th. I have to admit I was a little nervous about my purchase after later reading a bunch of negative reviews in regards to their customer service and slow shipping. After receiving the mattress and looking back on my experience, I have to admit I was actually very impressed with their customer service via phone and chat. I spoke with a few different reps via phone on different occasions and had a great experience. The people I spoke to were very friendly and seemed to genuinely want to help you. I would rate their phone customer service at a 9 out of 10 and their chat customer service at a 8 out of 10. I received the mattress via FedEx around 2:00pm and slept on it that same night. There was a pretty strong off gassing smell from the mattress initially, but that gradually disappeared over the next few days. The mattress did get a little firmer over the next couple days and it almost felt too firm, but I feel like I’m adjusting to the mattress now and or it’s starting to break in a bit. Either way, I’m really impressed with this mattress and glad I made the purchase. The best piece of advice I could give you would be to have a little patience and you will get a good mattress at a good price. I purchased my Nectar early in December 2017. I had read the reviews on a number of websites, and thus knew that there would be an abnormally long wait time until I received my mattress. Since I was in a hurry, this wasn’t a problem, and knowing it would be a long wait, I was prepared. My mattress finally arrived early in January 20, 2018. FedEx delivered it. It comes in a very heavy long outer tube with another very nice zippered case (which incidentally, makes a very fine Christmas tree storage bag). We set the mattress on the bed, cut off the plastic carefully using a very nice letter-opener slitter that they kindly enclosed. I then went away for a night for a family visit. 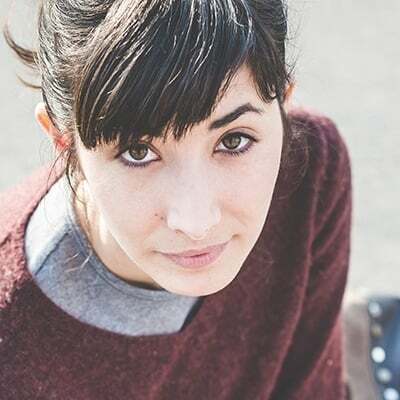 When I came back, I did not smell anything, and it had fully expanded, along with the two pillows. I use a feather pillow (I’m old fashioned) so the two pillows are a bit big and firm for me and I don’t use them to sleep with, but they are nice and well-made, and great for propping up or using under my knees. I also have an adjustable bed and the mattress works just fine with that. I am hoping I won’t break down the foam by the constant rising and lowering of the position. That would likely not happen for years. As most have indicated, this bed is very firm. I have another mattress, a Temperpedic (which is 15 years old and just fine in a full-size). The Nectar is much firmer than the Temperpedic. The Nectar replaced another memory foam mattress that I had purchased from Amazon 5 years ago, and that mattress held up fairly well but I could tell there was some deterioration. I won’t mention any brand names for that one. All in all, I am happy with the bed. Firmer is usually better for you than softer, and I think it will hold up well. I love the cover on it, although I always cover my mattresses with a pet-proof waterproof pad and then a mattress cover (I have dogs who sleep with me, and they seem to like the new mattress as well!). I have had the bed set up now for just a week and a half, and I have noted that at night it does smell a bit like alcohol (very faintly, am I just imagining this?) but it is not unpleasant and not strong. Since this was a new company in business since 2016 I think, I am not sure about the ‘lifetime’ warranty but honestly, I have had experience with a number of these foam memory mattresses, and I am sure that even if they go out of business, I’ll get a good decade or more out of it. What more can you expect for the price? Buy it if you like a firmer mattress. I ordered my mattress on 2/14 and just received a email it is on the way 2/16. Before ordering I did a lot of research for a mattress that would help my back and Nectar was always found in blogs, v-logs and reviews so I bought one and just waiting for it to be delivered. If I do not love it they do have a great sleep trial. My Husband and I order the Twin XL so we each would be able to raise and lower the head and foot on our own side. We got the frame within a few days, about a week later we received ONE mattress. We specifically ordered 2 Twin XL the same time. After several phone calls we finally received the second mattress. It was obvious the second mattress was out of a different lot as the Stitching Font on the foot was entirely different, doesn’t even match!! We put the frame together and again found no reasoning or logic on this situation. A nice feature on the frame is a USB port, like that idea. But when you are ordering 2 Twin XL to make a King bed why would you not put the USB Port on the left side of one frame and the right side of the other fram when the two frames go together side by side. For the frame that goes on the right the USB port is down in between the two mattresses and none usable. Why not make some frames with the USB port on the right side of the frame and some on the left side, only makes sense to me. Our other complaint is one of the mattresses is about an 1 1/2 shorter in height than the other one and when you lay on it you feel like your going to role off the mattress. I slept on it two nights and kept telling my husband I feel like I am going to role off the bed. He laid on it and felt the same way. No problem with the other mattress. We have been sleeping on it for 4 nights now, Still trying to decide if we want to keep it with all the problems we had getting it and now a mattress you feel like you are going to roll off of. Not impressed much at this point. From the time I ordered my Nectar queen-size mattress until it arrived on my front porch only took five days. The ease of unpacking it and having it bed ready was outstanding. I am 69 years old, and it is the most comfortable mattress I have ever owned! Our mattress arrived about 15 hours ago. The mattress is not expanding. There is a huge sag in the middle of our mattress. I have read how people who purchased the nectar slept on their mattress that night. Well not us and from the look of the mattress not tonight either. Yes, we still have the gaseous smell also. We are disappointed in our purchase. We will be contacting nectar for a return.